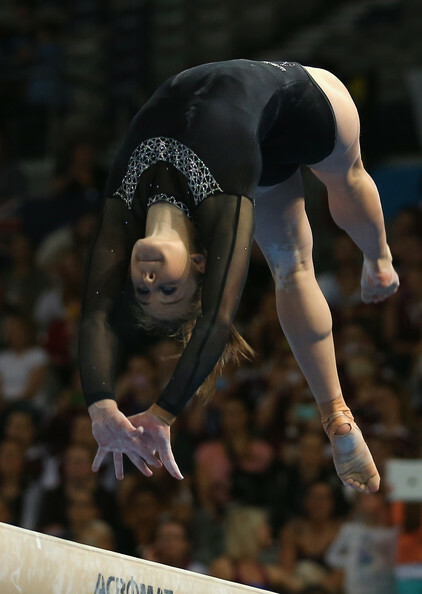 World Champion, Lauren Mitchell, back on beam at the 2014 Australian National Championships. She has been named to the Commonwealth Team for Scotland later this summer. Bela Karolyi style scratch-and-petition-nastics at Australian National Championships and the Godwin Factor for Commonwealth Games team. 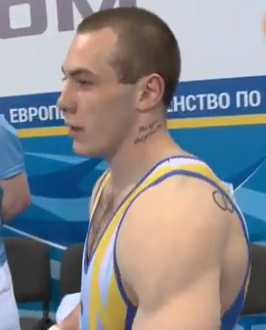 The Russian men dominate with gorgeous, clean, high flying skills at European Championships while Ukraine earns a spot on the podium despite war at home and neck tattoos. Max Whitlock beats Krisztian Berki on pommel horse! Fabian Hambuechen had a scary fall, did Epke Zonderland’s hair cut help his high bar form, and should Mr. Alexander Shatilov have won the Mr. Sofia title? Mtv Germany has a shirtless gymnastics video shoot that we investigate like Grandi at a rhythmic judging exam. 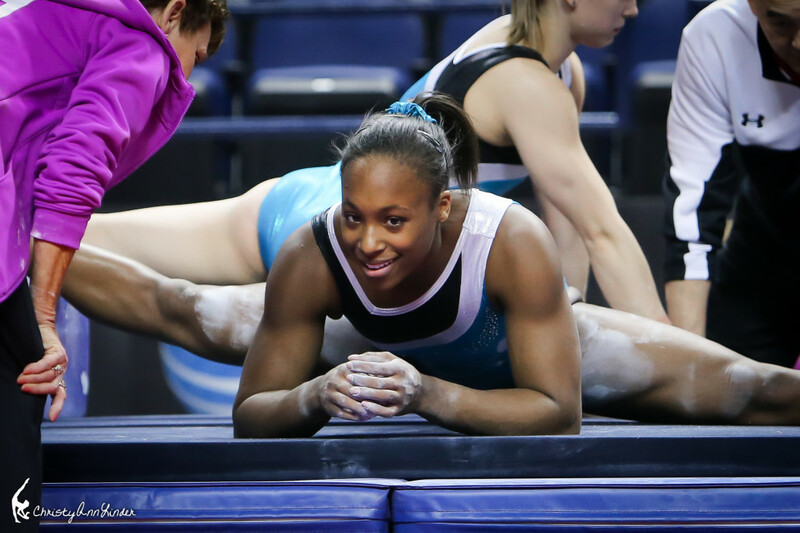 The shinning hope for Australia after a dark time, Larissa Miller of tribe Uneven Bars. THIS KID! Emmy doing the most adorable routine we’ve ever seen. Steve Butcher, Men’s Tech Committee Chair, sounding reasonable. Pre-sale tickets for 2015 World Championships in Glasgow are on sale here. 2014 Australian All-Around Champion, Georgia Godwin of Queensland. Post by Gym Qld WAG High Performance Centre. 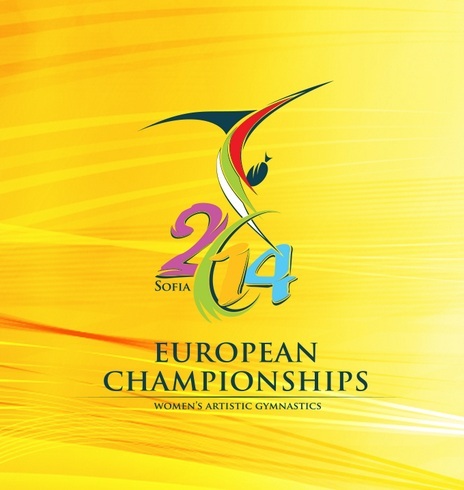 Catherine Lyons, 2014 European Junior Floor Champion. Russian great, Anna Pavlova returns to competition for Azerbaijan with a medal! The new floor artistry rules are in place, but did floor champion Ferrari comply? The incredible rise of the British junior and seniors teams with crowd pleasing and incredibly difficult, artistic gymnastics. Queen Mustafina and Iordache show their true depth and consistency of Romania and Russia, year after year. Why Jessica is outraged that Romania’s Larisa Iordache placed second on balance beam despite seemingly superior execution. The impressive, new senior Maria Kharenkova of Russia who rocked a shoulder height two-foot layout on beam and demonstrated a mature attitude. We award the first ever, Prize for Execution for highest execution score in the all-around to Princess Catherine Lyons of Europa. Roxanna Popa is a friend to all and everyone is her fan. The Slinky Pink Panther routine from Marta Pihan-Kulesza of Poland that we can’t get enough of. All-around silver medalist, Laura Jurca (ROM) does “The Swim” on beam, we weigh in, smart move or too campy (see gif below)? Ksenia Afanasyeva talks about her ankle surgeries. Danell Leyva has a 7.3 D on high bar! Spain’s (University of Florida) Silvia Colussi-Pelaez, is transferring to Oregon State this fall. Lloimincia Hall selected for Nike Internship. Kenzo posted a video of his yurchenko 3.5!! Our solutions for City of Liverpool gymnastics club closure. Laura Jurca (ROM) doing “The Swim” on beam. The GymCastic Podcast by gymcastic.com is licensed under a Creative CommonsAttribution-NonCommercial-NoDerivs 3.0 Unported License.